How you can stop worrying about your health and enjoy life. 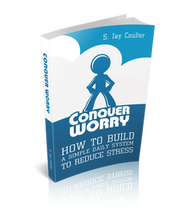 ​Get Your Life Back From Stress By Jay Coulter. First published as a small ebook back in 2007, Shaun O'Connor wrote the DP Manual as a personal guide on how to deal with the symptoms and recover completely from Depersonalization. All books have been recommended by group attendees. Some books have been donated and available to borrow. These books are shown in GREEN. Do you believe there is a link between art and happiness? Is there a connection between our creativity and wellbeing? Writer, artist and creativity coach Val Andrews explores the links. Lynn Crilly is a Counsellor, Mother and Author. Through using her unique and very effective form of counselling she has established herself as one of the country’s leading private therapists. She wrote her first book Hope with Eating Disorders in 2012, which was widely praised for its down-to-earth and non-judgmental advice to parents and carers. Lynn is a trustee for the charity ‘Men Get Eating Disorders Too’ ’. Natasha Devon is a journalist, TV pundit and founder of The Self Esteem Team, who have taught more than 40,000 teenagers in schools, colleges and universities throughout Britain. She works alongside the All Parties Parliamentary Group on Body Image and campaigns for good body image and mental health practice in schools and in the media. David Adam: "I think it’s a popular science account of the condition, which is supported by my own story, because I suffer from it". Interesting read and quite funny! Click on this book to find out more and access Ruby's web site. Feel the Fear and Do it Anyway. The Phenomenal Classic That Has Changed the Lives of Millions by Jeffers, Susan ( Author ) This book is available on a GP prescription. 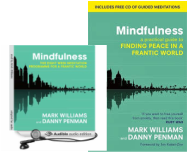 "The Mindful Way through Depression"
"Beat Depression and Reclaim your Life"
"Managing Anger -Simple Steps to dealing with frustration and threat"
"10 stupid things couples do to mess up their relationships"
(understanding and coping with anxiety). "Overcoming Depersonalization & Feelings of Unreality"
"At Last A Life Anxiety and Panic Free"
"Self Help for your Nerves"